Elephant Games proudly presents a team-up of epic proportions! 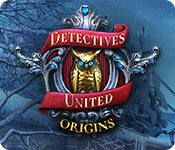 Detectives United: Origins is rated 3.8 out of 5 by 15. Rated 5 out of 5 by anlome from Cool Premise I can't wait for more of the United to come out...this was a great game, that did bore me or frustrate me. It wasn't silly either....had great play. Thanks. Rated 5 out of 5 by fishiegamer from Yes, more like this please! Very engaging from first to last. Story line is very good, graphics & audio are great. Puzzles etc are interesting. Enjoyed the characters interactions, playing as different detectives, utilizing their individual talents, 'ghost-dad' jokes are as lame as ever, (guess no one can pick their relatives). Looking forward to the next adventure in the series. Rated 5 out of 5 by shunterfl from Want Another One I rarely write reviews, but I really enjoyed this game and want to make sure they continue with this series. I liked the way you played each of the characters so that you had to use different skills to progress through the game rather than the same approach over and over again. I liked the storyline as well, which is also a rarity for me. The bottom line is: give this game a chance, I bet you will like it. Rated 5 out of 5 by Yurnmesis from Trial: Excellent Graphics, Characters and Story This one pulled me in and kept my attention, not an easy thing to do with so many recent poor offerings. The graphics are excellent with the option to adjust level (gamma). The characters are attractive and well-crafted with very good voice overs. 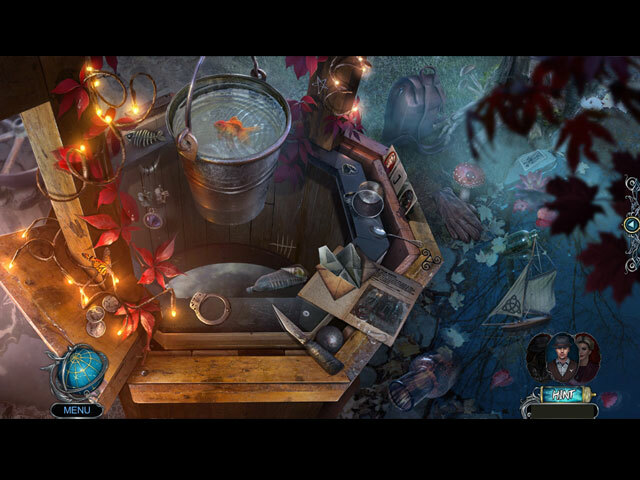 Hidden Object games are more challenging in this game and Mini Games are still time consuming but well crafted. I enjoyed the combination of detectives and how they switched between characters. Oh my goodness! Richard again! Will someone please put him to rest! Since he was the only thing I didn't like in this trial, I went ahead and purchased the game. I'm looking forward to enjoying this well-crafted and developed game that moves forward without a lot of fill in games! Well worth the time spent testing it! Rated 5 out of 5 by Paladin621 from Excellent Game Combining the main sleuths from other series was genius. It was like playing the game 3 ways as each detective applied their own specific methodology to resolving the issue with you looking over their respective shoulders. The puzzles were for a mix of intermediate and expert players, but the game moved smoothly along to the end. Rated 4 out of 5 by rpggramma from Good Game! I did not realize that this is an Elephant game. It seemed different somehow! Interesting, fun. Some puzzles were confusing or just hard; not like Elephant!! Only thing I did not like was the aburpt ending!! Rated 4 out of 5 by karen46280 from Loved the different points of view I purchased the SE which I tend to do with a new series. I really enjoyed having my favorite detectives working together, bringing their own specialness and being able to play as each one. The handoff's were a little less smooth than I would have liked, but worked. The story moved forward at a good pace. The scene changes were quick with no long loading. I only play for short periods of time and the rate of scene changes really impacts how much fun I have in the time I'm playing. Looking forward to the next one! Rated 4 out of 5 by pennmom36 from I HOPE THIS JOURNEY IS ONLY THE BEGINNING This game was an immediate purchase when it first released as a Collector's Edition. I loved the game from beginning to end, but I prefer the CE version over this Standard Edition version because I love Morphing Objects available in the CE. There were a couple of things I noticed that were kind of odd or had me scratching my head. Richard's voice seemed different, and his demeanor was different too, but what had me scratching my head trying to figure out if I had missed something, was that after the demo, I was obviously playing the role of Anna Gray as she traveled to the past. I then switched characters back to James in the present, yet I had all of the same inventory items that Anna had collected in the past? Shouldn't I have switched inventory items as well when I switched characters? I found the storyline fascinating, and although the concept of playing as 2 different characters isn't new, playing 3 of my favorite characters was icing on the cake! Although there are only 3 Chapters (+Bonus in CE) I found the chapters themselves to be quite substantial and somewhat lengthy, without a lot of boring fillers like some games include. I'm looking forward to the next Detectives United, and thank you Elephant for bringing two new series to the table, they are both incredible games. Here's a recap of my review to help you decide which version, if either, is right for you: Detectives United: Origins has a masterfully crafted storyline and the concept is simply genius What it lacks in gameplay, it makes up for in the storyline, this dev is on fire! Origins take us back to the beginning when the Mystery Trackers Agency was just a pup, speaking of which...I better be making a trip to the local Mystery Tracker's animal shelter to pick up my partner Elf pretty soon! You will play this game in 3 different character perspectives, one as Agent Dorian Brown, the top agent, and Her Majesty's number one go-to detective. You'll switch thing's up a bit after pairing with the ever-sarcastic, fearless, ghost-busting, paranormal investigator that ain't afraid of no ghosts, James Blackthorne from Haunted Hotel, and to make this game the real deal, ultimate package, you'll also play as the Time-Traveling, family-saving, skull-toting matriarch of the Gray family, Anna from Grim Tales! NUFF SAID? :) Can we talk about the Elephant in the room? Yes, we have a gadget, but this is what the Mystery Trackers Agency is all about, and I'm okay with it! Now if I could just use this device to locate an Elf... I thought some of the Hidden Object Scenes were actually quite creative! I don't normally get impressed by HOP's lately because lately the scenes consist of a handful of objects that are out in the open with no attempt made to hide the objects. One of my favorite scenes centered around a film projector and the movie screen. I love HOS that require you to figure things out in order to progress so that one really impressed me, mostly because it was different. There are also Silhouetted Shape finds, Interactive List finds, Multiple finds and Matching Pair finds where you have to click on two objects at a time that reveals an object and try to find it's mate. There are also several Zoom Zone HOS, again, I was impressed with the creativity of some of these smaller mini HO's as well, bravo Elly! The Mini-Games range from simplistic no-brainer puzzles to complex mini-games that require some thought. I actually found the games after the demo to be quite creative for the most part. Below are brief descriptions of some of the games you'll encounter during this sweet demo: 1-Select the symbols in the correct order as shown on the list. 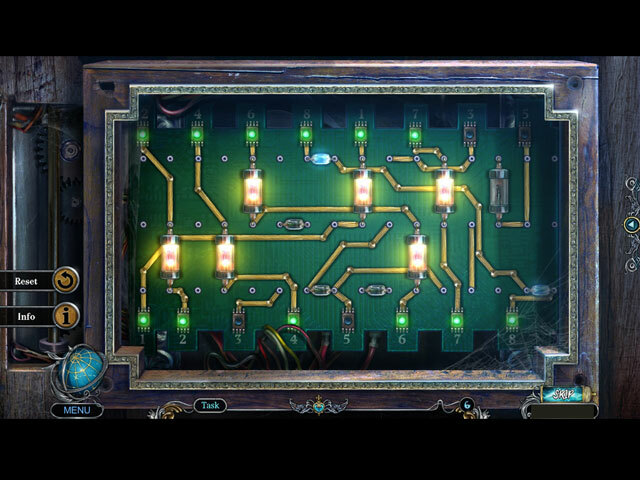 2-Use the device to find 8 hidden Wisps in the scene. 3-Drag & place torn fragments to matching slots to restore the photo. 4-Use the magnifier to find coordinates in Roman Numeral order. 5-Slide square tiles to create an image, 2 cells allow tile rotations. 6-Move the balls to center slots by pushing rows & columns a specified number of cells. The Collector's Edition version has 10 Wallpapers, 10 Concept Art pictures, 4 Music Soundtracks, 13 re-playable Mini-Games, 15 re-playable Hidden Object Scenes, 17 Achievements to earn, a Secret Room to search for Morphing objects, 14 Collectible Morphing Character Figures, 29 Morphing Objects, 20 Puzzle Pieces (4 Puzzles total) 3 Main Chapters +Bonus Chapter and a built-in Strategy Guide, enjoy! Three legendary detectives join forces to solve a horrible crime!